When people see my rack, the response is usually the same. Eyes bulge. Mouths water. Exclamations ensue. Wow! That’s a lot of spices! Do you really use all of those? To be honest, I’m a barely competent home cook. I’ve got no special talent or sophisticated kitchen tools at my disposal. What successes I do achieve in the kitchen, I owe largely to my rack. My spices are the true source of my kitchen witchery. They are the eye of newt and toe of frog that allow me to make the magic happen, so to speak. And even when I’m not in my kitchen, I use spices. 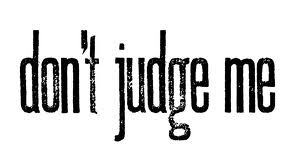 But mostly to pass judgment on others. Whenever I go to someone’s home, there are two things I use to get an instant read on who that person is: their bookshelf and their spice rack. In my mind, both are an indication of how willing that person is to experiment (with ideas or flavors) or step outside of their comfort zone. So, to be fair, I thought I should follow the whole ‘judge not lest ye be judged’ advice, and reveal my own spice rack for your judging pleasure. a beautiful mess, isn’t it? 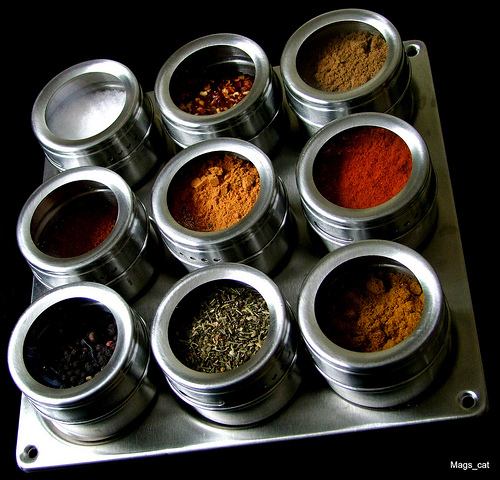 There are a lot of ways to organize spices all nice and neat-like – but I prefer a method that makes more sense for the way I cook – cultural grouping. 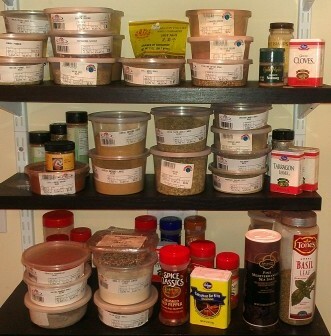 On the bottom shelf are the universal or ‘American’ spices like: salt, pepper, garlic powder, onion powder, red pepper flakes, and old bay seasoning. The second shelf holds Latin / Caribbean spices on the left, like: cumin, chili powder, and cilantro. 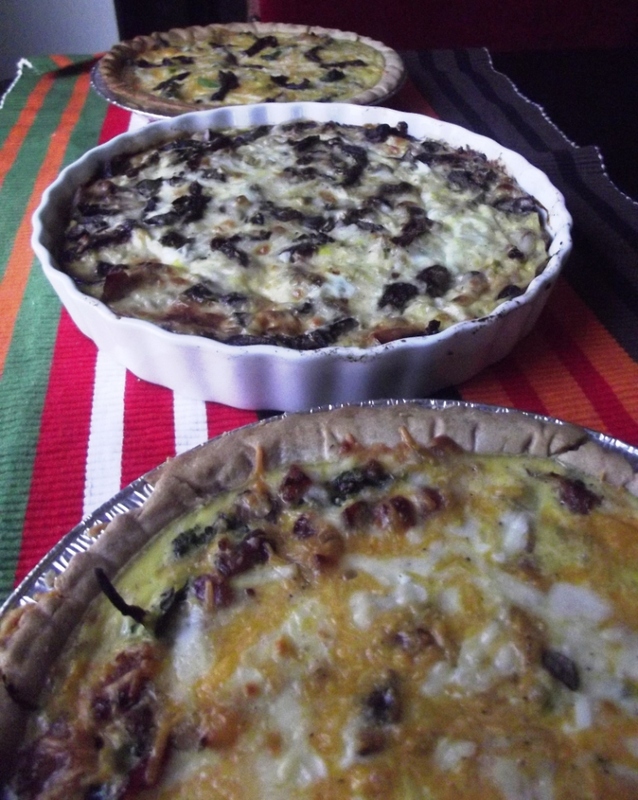 European spices like tarragon, rosemary, marjoram, oregano, and basil are on the right. The top shelf has Asian spices on the left, including: ginger, szechuan peppercorn, curry powder, and anise; and sweet / baking spices on the right, like: cinnamon, nutmeg, allspice, and cardamom. And in the back are lesser-used spices like: celery seed, dill, and pickling spice. Of course, since many spices are used in different cultures, my organization method is not a strict cultural classification, but it works for me. For good measure, I’d also suggest marjoram, dill, dried mustard, and celery seed, but they’re not absolutely essential, in my opinion. As for spices you don’t need, I’d say: lemon pepper, cajun spice or blackened seasoning, and seasoned salt. If you have all of the top spices I listed above, you can make your own (click the links for recipes). Stocking your spice rack can be pretty pricey, but only if you buy from major chain grocery stores. My advice is to only buy spices from major retailers in a pinch. To save money, go to an ethnic grocery store or a farmer’s market (like Dekalb Farmer’s Market here in Atlanta) where you can get the same spices that are often much fresher for a fraction of the cost. 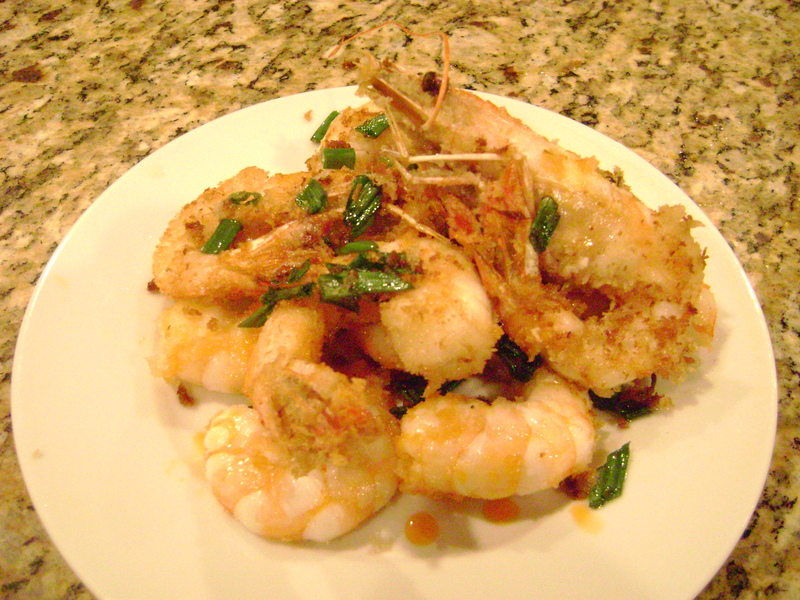 Not sure which spices or flavors go with which foods? This infographic on complementary flavors from Information is Beautiful should help.